Connect the output cord from the AC adapter to the notebook and plug the power cord into a working electrical outlet. Perform one or more of the following tasks to check the operation of the AC power adapter. Check the power icon in the system tray. If the icon resembles a power cord, and if moving the cursor over the icon displays the On AC Power message, the AC adapter is operating properly. If the icon resembles a battery when the AC adapter is connected, the adapter is defective. 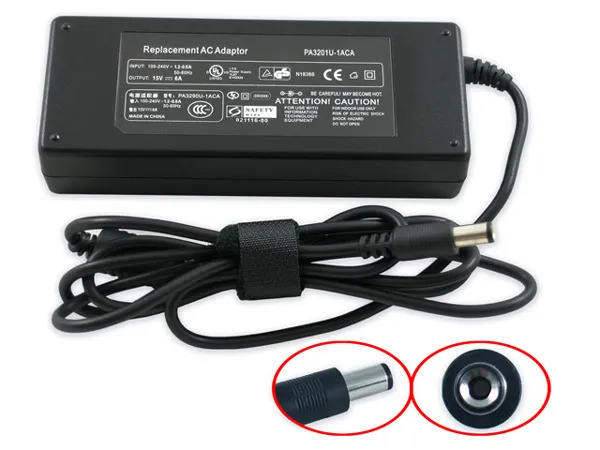 Check if the AC power adapter can operate the notebook when the battery is removed. Do a normal shutdown of the PC. Remove the battery from the Notebook. Connect the power adapter and press the Power button to start the notebook. If the PC does not start and operate normally, the AC adapter is defective and must be replaced.